Cyan, the studio responsible for the puzzle games Myst and Riven, has announced a new first-person adventure. Obduction is in development for PC and Mac and should be released in late 2015. "Obduction will be built with the same framework that made Cyan's earlier games such a wonderful experience: stunning landscapes, deep storyline, engaging characters, dramatic soundscapes, and challenging yet intuitive puzzles," the studio said. "Obduction is an entirely new property, delivered using one of the most powerful game development technologies available today. Obduction is an adventure game for the new millennium that stays true to the concepts that made the genre great." 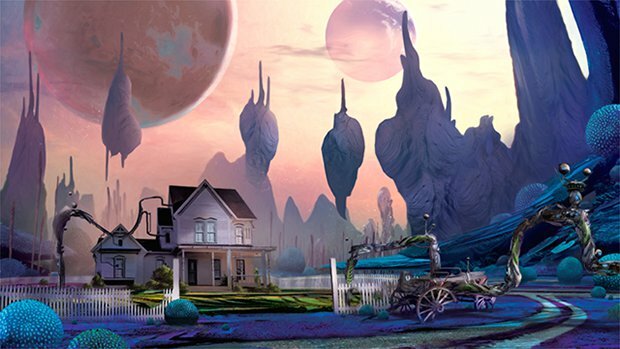 At the start of Obduction, an artifact drops from the sky and whisks the player away to an alien world. There, they find a very ordinary-looking farmhouse with a picket fence. Through exploring the environment and solving puzzles, the'll solve the mystery about the farmhouse and world. Myst and Riven had cutting-edge graphics when they were released. Cyan is placing a high priority on Obduction's visuals as well. They're going to build the game using Epic's Unreal Engine 4. "Today's modern realtime engines have plenty of horse-power to produce zillions of bullets per second, but they can also be used to make remarkable landscapes and architecture that approach and even surpass the pre-rendered days of Riven. Unreal 4 is an amazing resource that enables us to build a world that you can lose yourself in." Cyan has turned to Kickstarter to fund Obduction's development. They're hoping to raise $1.1 million by November 16th. That sounds like a lofty goal but in the Kickstarter campaign's first two days, the project has already raised over $400,000. 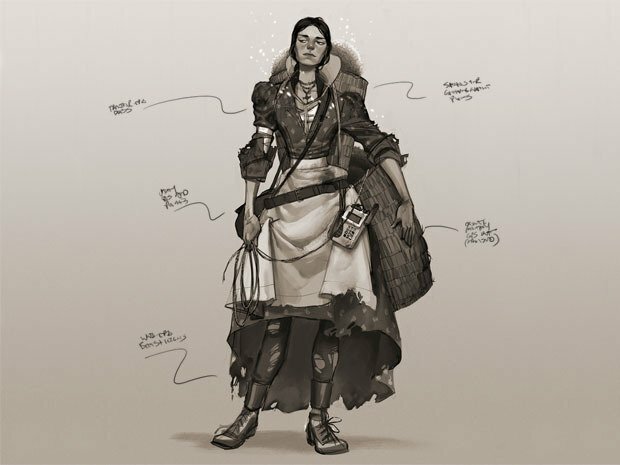 If Cyan receives any funds above their initial goal, they'll add more in-game locations and "technological bells and whistles." The team also plans to widen the game's release with more languages and more platforms. If they're targeting a 2015 release, then next-gen consoles like the PS4 and Xbox One sound like probable destinations. If you're interesting in reading more about Obduction or donating to the project, you can find all the details at Kickstarter.